If you think you may have a medical malpractice lawsuit, it is best to contact an experience medical malpractice attorney to guide you through the legal process. Medical malpractice rules very from state to state, however the basic requirements for a medical malpractice claim remain fairly consistent. It is important to note that medical malpractice cases must be brought to light very soon after the injury occurs. Most states have a period of between 6 months and 2 years in order to be within the ‘statute of limitations.’ If you do not bring your medical malpractice case to light (as in file the lawsuit) within the period of time known as the statute of limitations, the case will be dismissed by the court. Some states require that the patient filing the medical malpractice lawsuit give the doctor notice of their intent to file the malpractice claim, prior to actually filing it. Several states have a cap on the amount of money that can be rewarded to a patient for damages in a medical malpractice case. Because there are so many complex rules that vary from state to state for medical malpractice lawsuits, it is best to consult with an experienced medical malpractice attorney before proceeding. 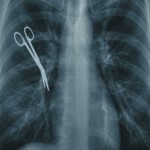 Contact LegalHelpLawyers.com to get in touch with an experienced medical malpractice attorney today!